Hey lovelies! I've been enjoying rounding up some lovely bloggers to take part in my Talk To The Blogger series that I'd love to catch up with!. I love finding out more about other bloggers and thought it would be a lot of fun, so I'm getting back into interviewing a load of you lovely lot! Today we are meeting Gemma from Gem Seren! She's allowed me to ask her a few little questions about her and her blog! Hi Gem! I'm so glad you were interested in being interviewed for my blog! Tell me a little bit about it? My blog is called gemseren and I blog mainly about makeup, with a little bit of fashion and lifstyle posts in the mix. When did you start blogging, and how did it all come together for you? I see that you have a variety of posts, from beauty to fashion to nails. What sort of posts are your favourites? I really love your nail posts! Especially the ceran wrap nails! Where do you get the ideas for different designs? Thank you. I get my inspiration mainly from other bloggers and youtubers. There are some great nail bloggers out there like Cute Polish and http://www.lucysstash.com/. Everyone needs a little inspiration for blog posts! Where do you get your inspiration from? I find inspiration from other bloggers. I am also very inspired when I go shopping and buy something new, I cant wait to get back and blog about it! I also like to create celebrity inspired looks. I love reading reviews because they give you someone elses opinion of a product you could possibly want to try. What's your favourite product you've reviewed yourself? Link us to the post!? We all have a favourite blogger. Who is your favourite and why? This is a tough one. Can I name a few bloggers? I love Victorias Vintage - I find her blog so unique and her bedroom is gorgeous. I also love her posts on car boots as I love going to them myself. I also love a Thrifty Mrs as her posts are so helpful and who doesn't love a bargain? I always like to ask, how fellow bloggers connect with other bloggers. What is your favourite way to connect, whether it be through commenting, following or social networking? 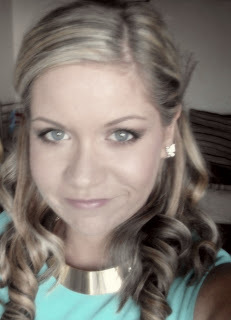 Thanks for telling us a little bit about you and your blog Gemma! It was great finding out a little more about the story behind the blog and the blogger! Don't forget to visit Gem on her blog Gem Seren. She's an amazing beauty blogger and one of my new found favourite bloggers! P.S. I have quite a few bloggers interviewed for the next few weeks so keep your mouses clicked on What Cat Says to see all the lovely bloggers whos blog I've loved discovering and that I've enjoyed interviewing. #bloggerpinion: Why Do You Follow A Blog?